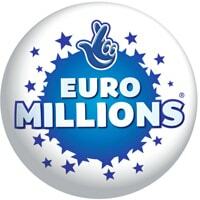 You can get 10 Euromillions tickets for just £1 when you signup for a new account with them. There is a massive jackpot of £82m so don't miss out on this opportunity for a chance to score big money. Visit their website now and pick your numbers and then enter your details. Click on “GET IT HERE” button and then signup to get your free 10 lines.